Included in the album are: Sunset to Sunrise; That's What Faith Must Be; Breathe New Life; Far Beyond All Measure; I Want To Praise Your Name; Journey's End; Stained Glass Windows; By Your Truth Alone; I Heard The Voice of Jesus; Song Of The Trinity; Lord I Lift Your Name On High; Joy In The Journey; God. 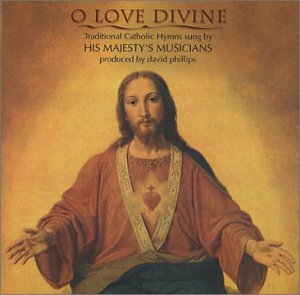 Included in the album are: Beautiful Angel; O Queen of the Holy Rosary; Jesus, Jesus, Come To Me; All Praise to Saint Patrick; Daughter of a Mighty Father; Jesus, My Lord, My God, My All; O Sacred Heart, O Love Divine; O Lord I Am Not Worthy; Holy Spirit, Lord of Light; Ave Maria, O Maiden, O Mother; O Purest of Creatures; Good Night, Sweet Jesus. 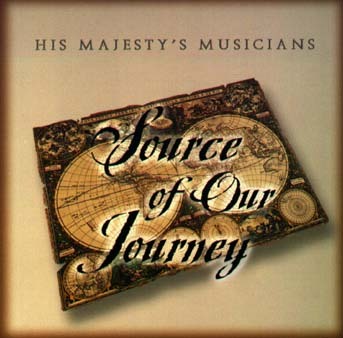 Contemporary Christian music sung by His Majesty's Musicians. Included in the album are: At the Name of Jesus; God's Own Fool; A Winter's Garden; On Eagle's Wings; Scandalon; I Am; O Breath of God; O Divine Wisdom; Prayer of St. Francis; Take This, My Heart; Lead Me, Lord; How Can I Keep From Singing. Lyrics included on most of the songs.